Westsail Owners Alliance - Post: "Kendall 32*Kendall32*Kendall 32* Kendall 32* Kendall 32*Kendall 32* Kendall 32* Kendall 32* Kendall 32"
Post: "Kendall 32*Kendall32*Kendall 32* Kendall 32* Kendall 32*Kendall 32* Kendall 32* Kendall 32* Kendall 32"
I have a Rare Kendall 32 which is the father or the Westsail 32, same hull, but It has spacious flush decks. There was approx 31 ever built before the company/molds were sold at a sheriffs auction, and the company later became the Westsail corporation. The boat then had its top sides redesigned, lost its deck space and received its plain looking cabin top(**this vessel has a small professionally built cabin**) . What you will find with this boat that you wont find with most boats is that this particular boat was lovingly built by a factory worker that was making the boat for his wife and self. It is apparent that he put his heart and soul in this vessel, she definitely has a lot of character. The boat was 85% completed and has never been in the water. It was very stoutly built. She has tons of open deck space with a small professionally/custom made cabin top over the galley/chart table area, it really looks great. She has a ENCAPSULATED CAST LEAD KEEL(most boats have scrap. Hey that rhymes with CRAP!). She holds 100 gal water and 100 gal fuel in new tanks. A six foot person can stand upright in her, no problem. Most every thing is new or unused down to her Volvo MD11C, just like this boat has been in a time capsule. All major components are in place and functional except for the rigging(I do have a nice mast for the boat)the sails are new Tan Barks. As you well know this is the most capable, safest cruising boat designs ever built! This boat when the finishing touches are completed, will take you anywhere in the world safely and comfortably. I bought this boat 6 years ago for $40,000,a fair price due to how rare she is and I wanted a Kendall not a Westsail. I have added $10,000 to her. I am in the military with a family and have no time or money for her. She is in dry storage (her entire life so far)and is easy to work on and could possible be in the water in less than two months working on her part time. I want a quick sale, so the best offer $25k and above will get her. I love West Sail 32's but in my opinion the Kendall with its large convex deck space and less windage is a much better designed, unique and prettier boat. The small custom made cabin top on this boat really gives it a classic look while providing more space and light down below. Feel free to call me anytime. I will show the boat or send photos to all serious inquires. She is in dry storage in San Diego. 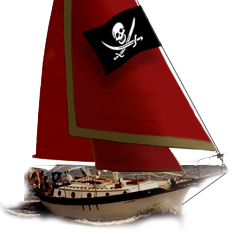 If you or a friend want a Westsail that was out of the ordinary not to mention much more attractive, then this is a rare opportunity, you most likely wont see another being sold for several years. The first reasonable offer above $25k she will be sold.